With a carbon fiber main plate, the Angelus U21 and U22 Tourbillons extend an Angelus story that started last year with the Angelus U20. Like that much-acclaimed skeletonized tourbillon, with its blue titanium bridges and sapphire mainplate, these two new Angelus watches emphasize high-tech materials, open architecture and a minimalistic approach to presenting complicated watchmaking. New this year, however, is an even stronger dose of contemporary design, if that’s possible with a piece like this. 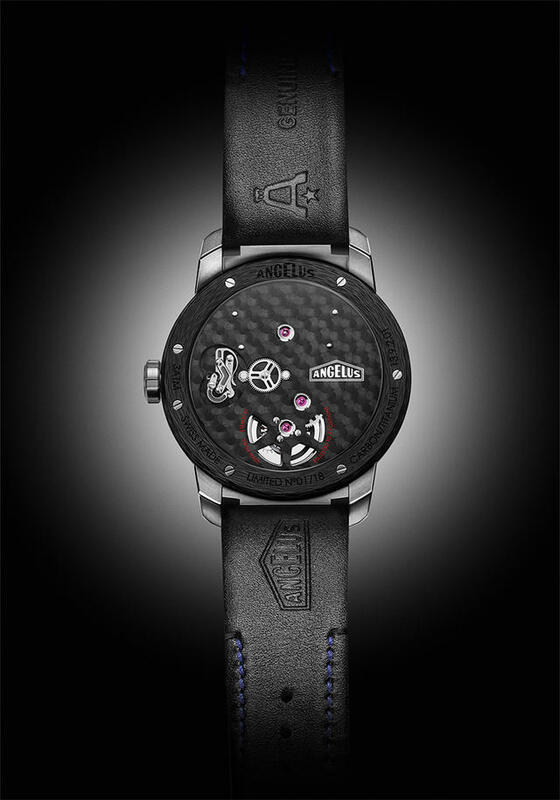 By using the aforementioned carbon fiber plates on both new models, Angelus also emphasizes lightweight design (especially with the titanium-cased U22 Tourbillon, which weights less than 54 grams), though I suspect this is more a notable byproduct of using such material rather than Angelus’s aim here. This transparency is essentially because Angelus says it has built this movement as a showpiece. Each watch presents an almost instructional mechanical portrait showing how bridges hold gears that then propel hands via the mesmerizing actions of a tourbillon. 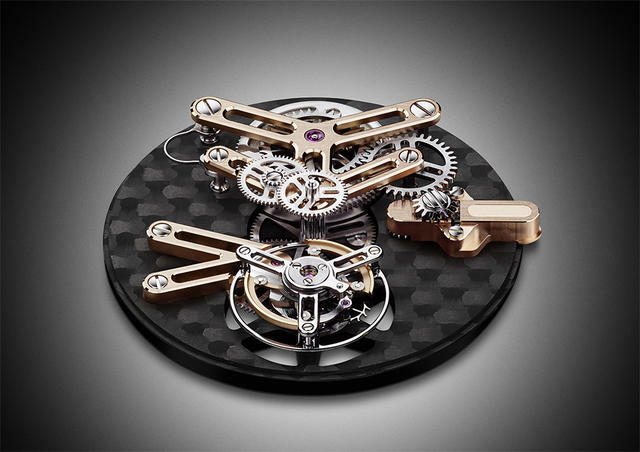 That tourbillon features a variable inertia balance wheel Angelus has designed to minimize air friction. And the patterned carbon fiber used in the main plate is built for strength, offering maximum rigidity. Notably visible from the back, the caliber’s ruby bearings are set into solid gold chatons. All components are hand-chamfered, hand-polished and hand satin-finished to ensure that their haute appearance echoes their smart engineering. The U21 Tourbillon does this with the assistance of warm gold. The bezel-free carbon fiber central case/plate element here features polished and satin-brushed 18-karat red gold lugs and red gold skeletonized bridges. To further enhance legibility, Angelus fills the hands with white SuperLumiNova. The U22 Tourbillon is a bit sportier. While it features a carbon fiber/titanium case (like the original U20) that allows Angelus to boast about its light weight, The U22 dial is easily the bolder of the two new models. Unlike the U21, the flange ring on this model is set with satin-finished applied indexes for the hour markers. The red SuperlumiNova central hands extend the racier look. 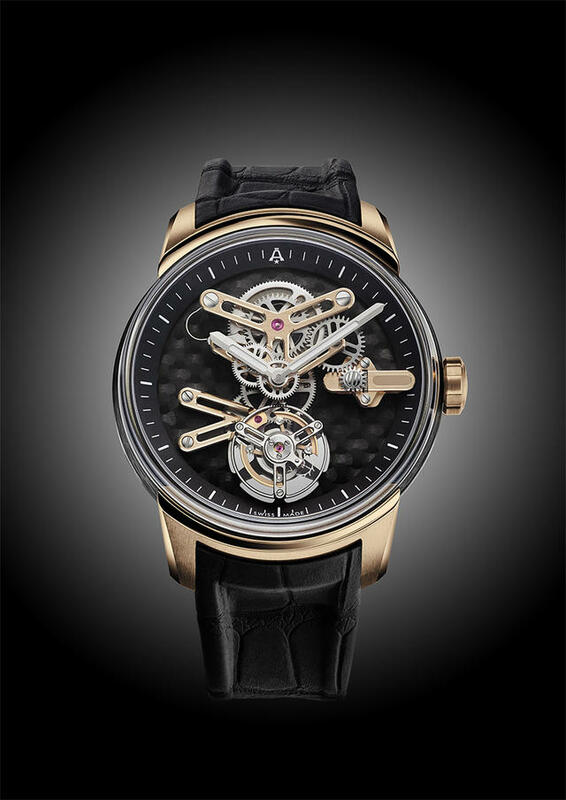 We look forward to seeing these two new Angelus skeleton tourbillon watches in person, especially as guided by Angelus design guru Sébastien Chaulmontet (who also happens to be in charge of movement design at Arnold & Son) at the upcoming Baselworld 2017. 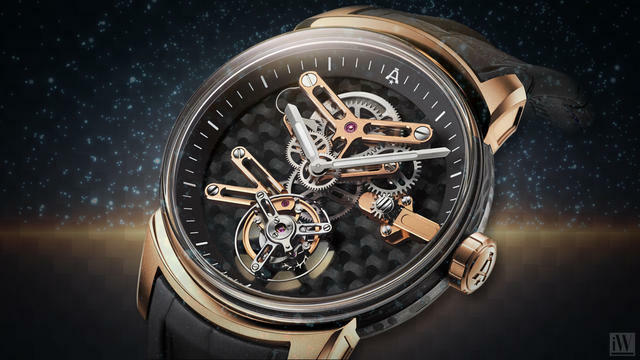 Prices: Angelus U21 Tourbillon: $52,200. 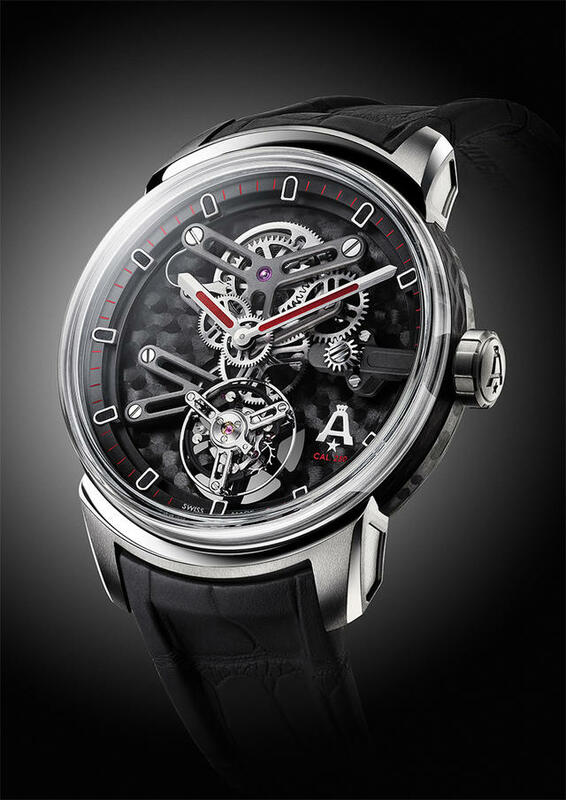 Angelus U22 Tourbillon: $37,995. Each is a made as a limited edition of eighteen pieces. Movement finishing: Haute horlogerie, all steel components have hand-chamfered and hand-polished edges, flat surfaces are mirror-polished or satin-finished. Chamfered and sand blasted titanium bridges.